It’s nearly the end of December so about time to start with our year lists. As I didn’t just want to make a list of all the trips we did like many other bloggers do, I thought of a number of subjects to remember 2015 and relive all the highlights. Today we’re sharing our favorite hikes of 2015 with you! In all honesty, when my physiotherapist told me that N70 would be an amazing hike to get in shape for Nepal, the name didn’t really sound appealing. After the summer I needed to recover from a bruised ankle and basically had to learn to walk again. I started with short hikes along the dikes that are near our house and my goal was to be able to hike N70 without pain before heading off to Nepal. My physiotherapist had suggested this hike to me because of the big difference in elevation (for Dutch standards) and the terrain I’d be walking on. The N70 starts in Nijmegen and takes you across 8 hills surrounding the city and the moraine. I loved the steep climbs and descends and the 16 km trek was one of the best workouts of the year for me. If you plan on hiking it, you can download the brochure on the website of Staatsbosbeheer. If you ever happen to be in the area, let me know and I’ll gladly join you on your hike! In October we hiked a part of the Moselsteig in Germany. Although we occasionally go hiking in our neighboring county, we had never been to the Moselle region before. As the name indicates, the track follows the Moselle River and although you may not expect it, the walk was very diverse. In three days we hiked through wineries, we climbed across rock formations, had extraordinary views over the river and got lost in the woods. The icing on the cake however was the Calmont Klettersteig, a Via Ferrata through the Calmont winery, the steepest vinyard in Europe. Super adventurous and yet so close to home! One of the hikes highest up on my bucketlist, is Harding Icefield Trail in Alaska. In 2007 I already attempted to hike it all the way up to the icefield, but unfortunately, there turned out to be too much snow to make it all the way up. This summer I would get another shot when traveling to Alaska for work. When I injured my ankle four days before my departure however, I thought I had to cancel my plans. During my trip I decided differently and figured that, since I went all the way to Alaska and already did a short glacier hike, I could always try it. So I wrapped my ankle for support, took a lot of painkillers and off I went. I had to work hard, but four hours after I left the trailhead, I reached Harding Icefield. Getting there was emotional, I could not believe I made it. Not just because of the large gain in altitude with my ankle, but also because I solo hiked in bear country. The full blog about solo hiking in bear country, can be found here. Ofcourse we can´t exclude Nepal from our list. We could have easily mentioned the full Everest Base Camp trek but that would not be too obvious. The best part of the trek, was definitely to Gokyo and up to Gokyo Ri. Gokyo is located at the end of the Gokyo Valley and the last village before reaching Cho Oyu, the seventh highest summit on the planet. 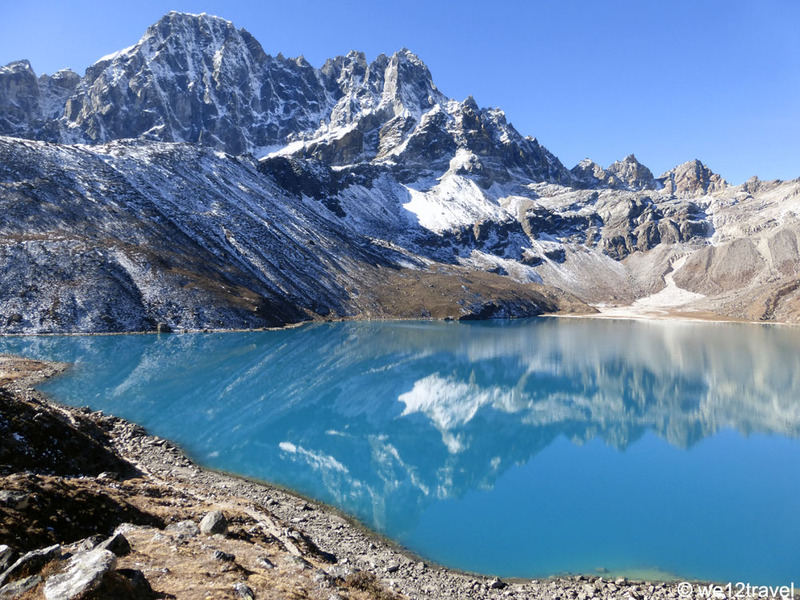 The Gokyo Lakes are truly stunning and once you are there, you may as well climb Gokyo Ri. From the valley it seems easy but it´s quite a sturdy hike. Martijn made it with our guides (I couldn’t come because of my health issues) and the reached the top just before sunrise with amazing views over the Himalaya. The EBC trek via Gokyo is a great yet strenuous alternative for those who have more time than the regular 12 days it takes to reach Base Camp. 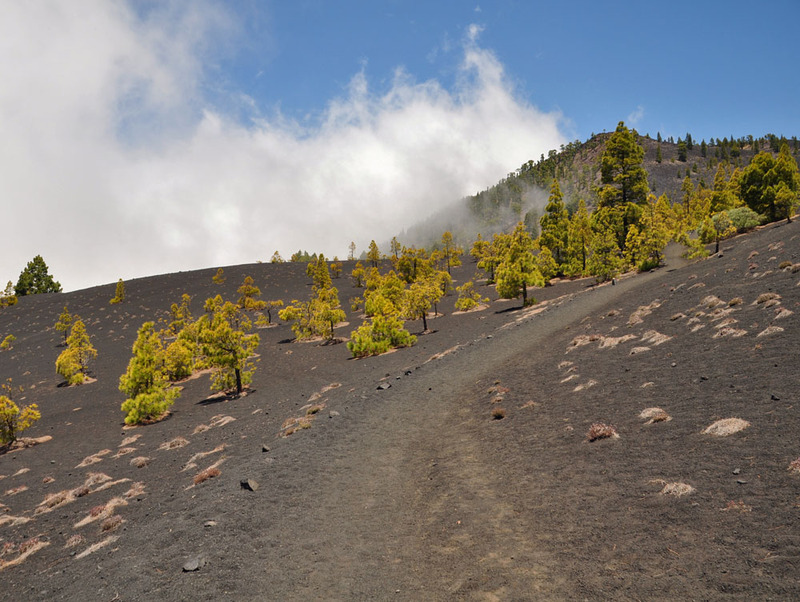 The year is almost ending but luckily we still have some nice hikes planned before we are starting 2016. Keep an eye out on our social media channels for updates. What was your favorite hike of 2015? Want to soak up more hiking inspiration? You will enjoy the following blogs, too! Sign me up for the Harding Icefield hike in Alaska! That looks awesome. I have this thing for glaciers, you see. 🙂 My favorite hike of 2015 was the Mt. Fitz Roy hike in Patagonia. Just gorgeous with a strenuous first and last kilometer. Will do 🙂 I loved the Fitz Roy hike, it’s strenuous but well worth the effort! How exciting! 🙂 Glad your ankle is better and best of luck in Nepal! Wow, you’ve made a lot of really awesome hikes this year! I love seeing the overview of your adventures all together at the end of the year. It makes the accomplishments look so grand. 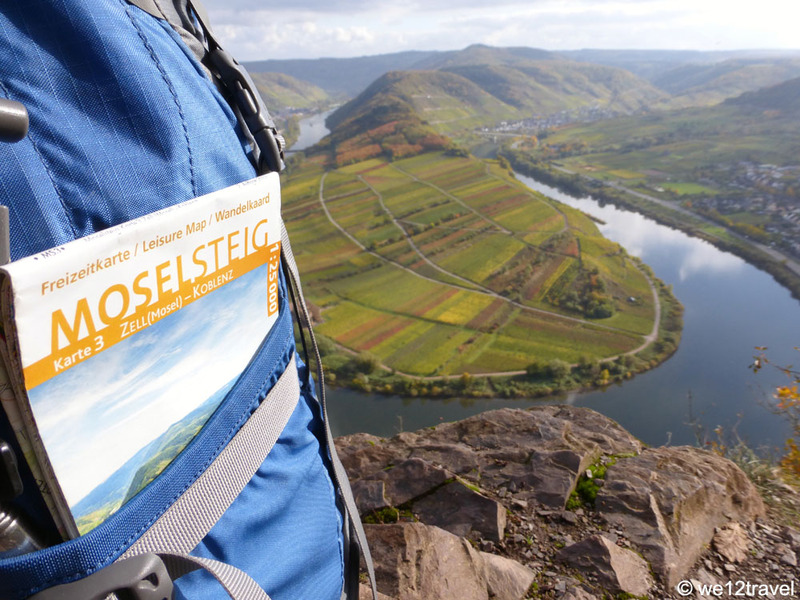 These all look like great hikes, but the one in Moselsteig looks really incredible. Yeah, Moselsteig was pretty awesome and quite easy to, so great for everyone who wants to try it! Great! It will be covered in snow then still, but you can do a little bit of it I’m sure! The hike to Harding Icefield in Alaska looks the most beautiful, however Germany is my favorite country of all so I would pick that one. Looks like a great time was had by all plus you got in some exercise and a good dose of beauty and nature. Well done. 😉 Happy 2016. Happy 2016 to you to Melody! I’m definitely impressed. I always want to be more of a hiker than I am. Gokyo looks absolutely beautiful. Same for me, until a couple of years I became a hiker. You can do it! Well, you’ve successfully made me feel lazy! I’ve done more cruising than hiking this year, but I’ve vowed to get more active in 2016 so this is excellent inspiration. 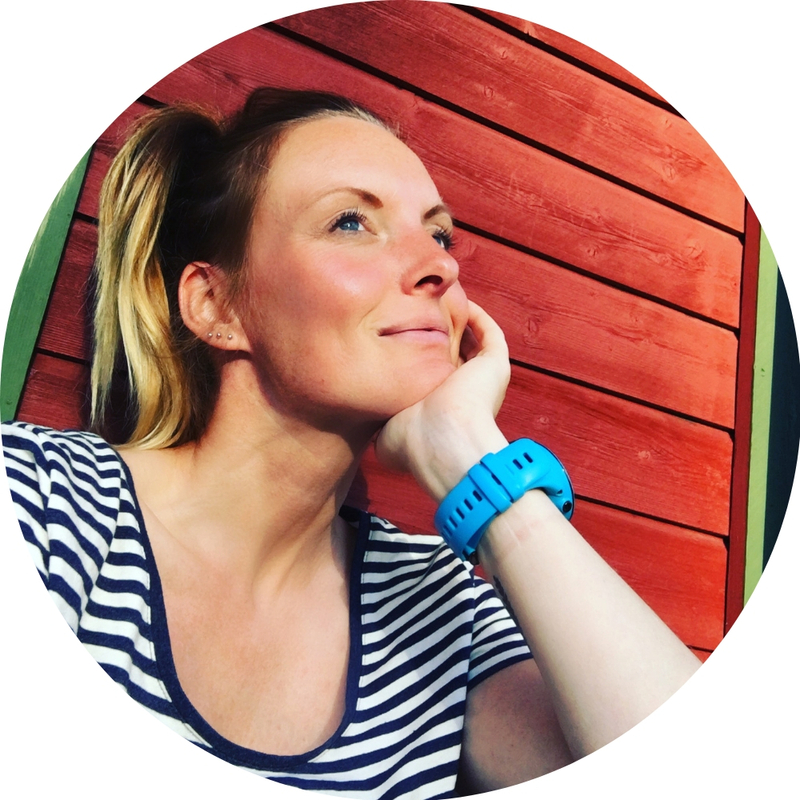 Haha – sorry, that was not my intention 🙂 I hope this list inspired you though. Happy 2016! You have inspired me to plan for a proper hike this year! I think my usual wimpy nature walks no longer cut it and it would be an awesome challenge to set a goal for something a bit ambitious. You go girl! I hope you can reach your goal with that! Thank you Meg! We’ve already booked our hike at the Overland Track and are planning to spend some time in Freycinet, too!